Administration Office: CLOSED. Staff are available via their regular extensions through call forwarding and are working remotely. 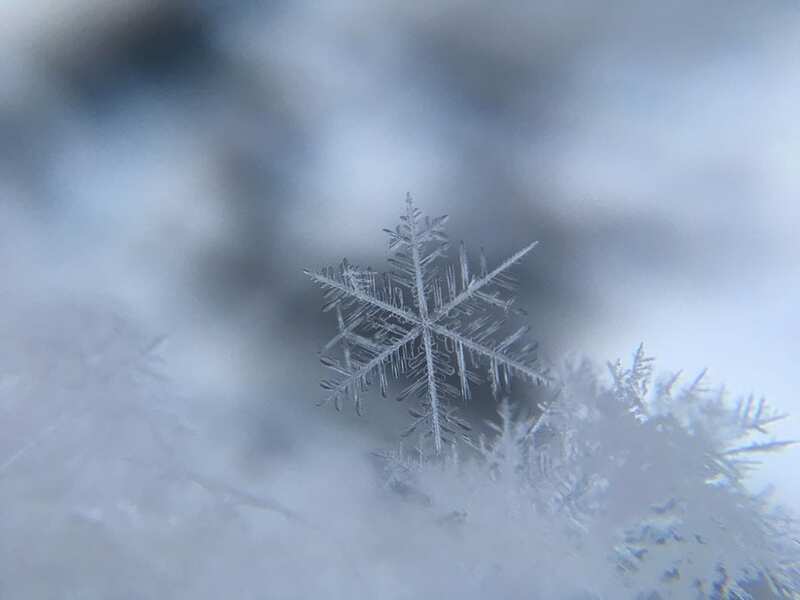 Concrete: If evening activities are canceled by the Concrete School District, there will be no Club, and all youth should take their normal bus home. If evening transportation IS available, the Club will be open until the late buses leave at 5:30 pm. We expect this information following the morning bus run. Mount Vernon: Closing at 5:00 pm. Sedro-Woolley: Closing at 5:30 pm. Dinner will be served. All Parents: Please pick up your Club members as soon as possible so staff can be sent out as numbers drop in facilities. We expect to see another storm roll in and would like to get people back home before it gets too bad. Christian is a Kindergartener at Little Mountain elementary. He is one of our new members this year at the start of the school year. Christian is a bright kid and when he smiles it brings a smile to others. Christian is our boy of the month for his willingness to engage and encourage others in the program. Julia is in 4th grade and attends Jefferson Elementary. Julia has a great bubbly attitude and likes to check in with staff. You can usually find Julia in the art room. She also enjoys Positive Action which teaches kids that their emotions are affected by what they choose to do and Power hour where she gets her homework. George is in 3rd grade and attends Lincoln Elementary. He has been a Club Member the summer before his 1st-grade year. George makes sure to come to Power Hour each day, working on homework or reading. 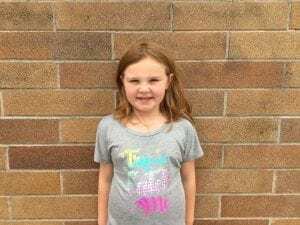 Chloe attends Jefferson Elementary and is currently a 3rd grader. She has been a Club member since spring of 2018. Chloe attends art every day that it is open, Chloe likes to make customized artwork for friends, family, and staff. 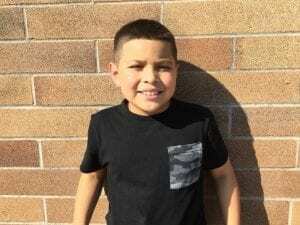 Adrian attends Jefferson Elementary and is currently in 2nd grade. He has started attending the Club just this year. Adrian can usually be found participating in Triple Play which is our physical game program. He can be seen actively helping others join in a program and helps promote games when we are preparing to head outside. Landon is a Kindergartener that attends Centennial Elementary. He started coming to the Club this year and has been a really great role model for other members. 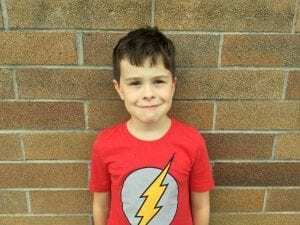 Laykin is attending Washington Elementary school and is currently a 2nd grader. Laykin participates in a wide range of programs at the Club and has even gotten some members who tend not to join a program to participate with her. She does everything with a smile. 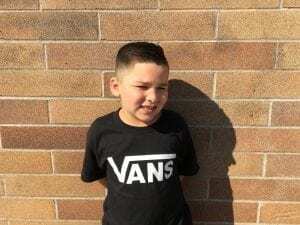 Isaias is currently in 3rd Grade and is attending Madison Elementary @Harriet Rowley. This is his second year at the Club. When you walk into the learning center you can usually find Isaias there getting work done. After he’s finished he likes to hang out with his friends in the game rooms. 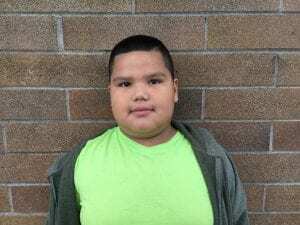 Elijah is currently a fifth grader and attends Madison Elementary @Harriet Rowley. He has been attending the Club for 5 years starting the summer he turned 6. Elijah is a great role model for the younger members as he comes prepared to go to Football after he is done at the Club. 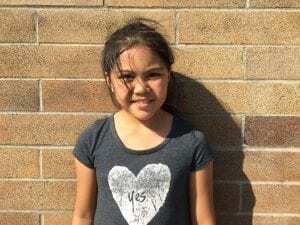 Alina is currently in second grade and attends Lincoln Elementary. Alina has been attending the Club for 2 years. you can see Alina in the art room creating some amazing artwork with a smile on her face. “Why don’t we go to the moon anymore?” This question was asked by Gavin, a green-haired incoming 6th grader entering LaVenture Middle School. 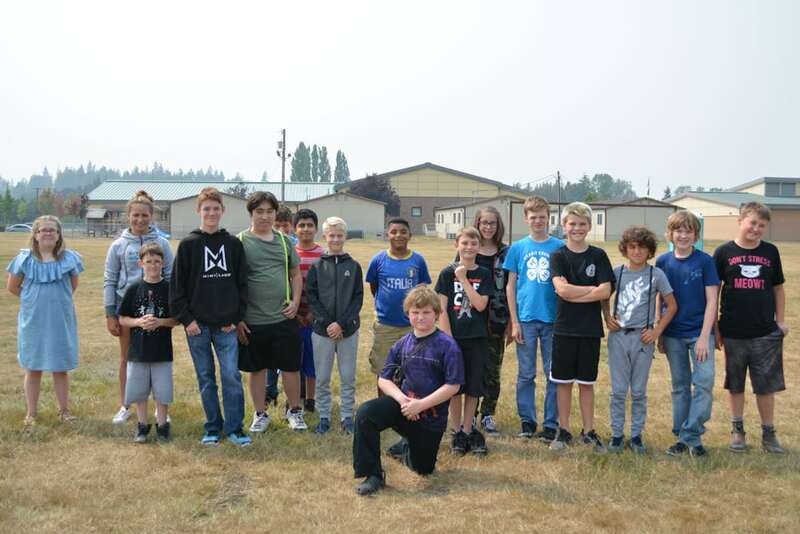 Gavin along with twenty other middle school students recently participated in Launch Camp, a NASA-inspired space program run by Boys & Girls Clubs of Skagit County. The youth came from all across Skagit County, from La Conner to Concrete, all united by a desire to better understand space. Although the youth were disappointed that NASA no longer sends astronauts to the moon, they were excited by the possibility of establishing a Mars colony at some point in their future. During the four day camp, they learned how to program robotics, designed 3D printing models, learned about many of the principles of flights, and culminated the camp by launching water rockets. The activities enabled them to imagine becoming NASA scientists or even Mars colonists. At the end of the camp, all of the youth expressed a desire to continue learning about science and technology. 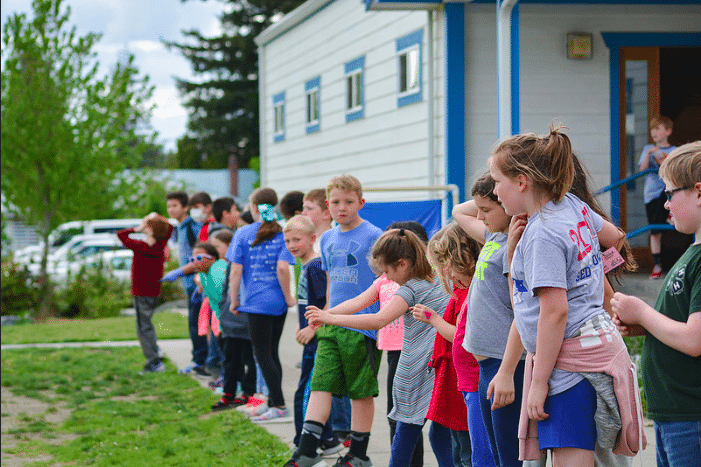 Many of the robotics and rocketry activities at Launch Camp came from the Northwest Earth and Space Science Pipeline (NESSP), a NASA-funded educational outreach program. 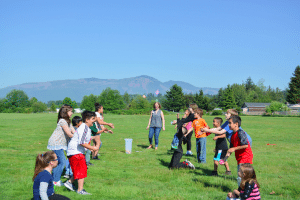 “The kids loved the idea that NASA was investing in them,” said Nathan Allen, co-leader of Launch Camp, “We worked to make it clear that NASA invests in the future of science – that used to be moon landings but now it’s our youth.” During the school year, Boys & Girls Clubs of Skagit County will continue to use the NESSP’s curriculum resources to empower youth. In addition to robotics and rocketry, youth will learn about environmental science and contribute data to NASA scientists through the NASA Globe program. Throughout the week, the youth at Launch Camp asked many excellent questions about space and the universe. But, on the last day, most of the participants asked the questions “can Launch Camp last longer?” and “will there be Launch Camp next year?” Youth in the Clubs will be empowered by Launch Camp and the lessons they learned for the rest of the school year. LaVenture Club member Wilfredo is becoming quite the math whiz! Many people see “math” as a four letter word. In middle school, math begins to change for students and many students find the transition challenging. Instead of using operations that most calculators can do, students begin learning about more abstract concepts like negative numbers, functions, and proportional relationships. But, for one 6th grade student at La Venture Middle School, math is a challenge to be surmounted. Wilfrido wants to become “un profesor de mathematics” — a mathematics professor. 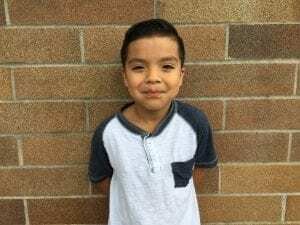 Wilfrido came to LaVenture part way through the year and has been focused on one goal, to complete as much of the online math program Khan Academy as possible. Amazingly, Wilfredo has finished working through all of the math concepts for 6th grade, most of the concepts for 7th grade, and has begun working on 8th-grade mathematics without an advantage given to most of his peers. Wilfrido only speaks Spanish. 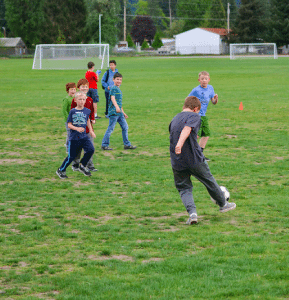 The Boys & Girls Clubs of Skagit County run an after-school program at LaVenture Middle School called Flying Falcons. During Flying Falcons, all members complete at least an hour of homework with staff assistance, a program known as Power Hour. 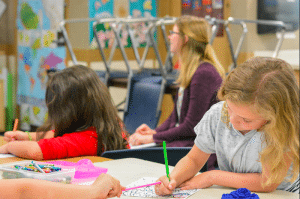 Wilfrido completes as much math as possible during this time and will even choose to do math when more traditionally enjoyable activities are available. “I’ve never seen anything like it,” says Nathan Allen, Director of STEM Initiatives for Boys & Girls Clubs. 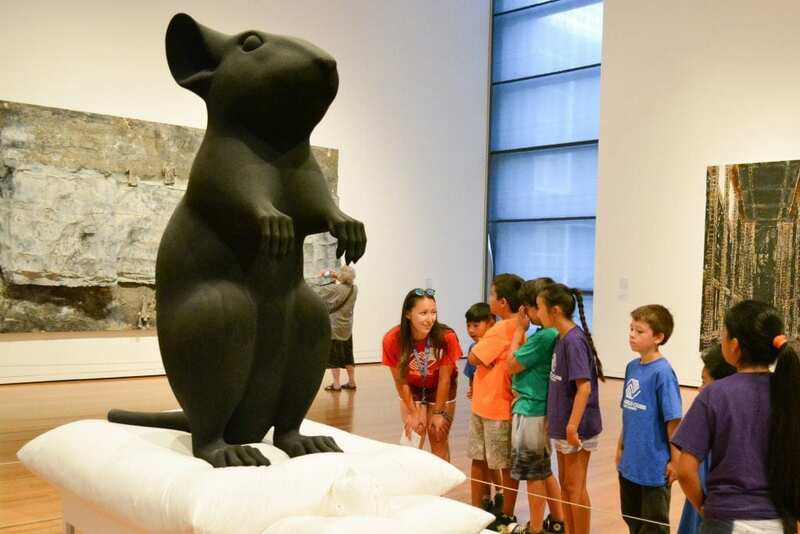 “As a former middle school math teacher, I’ve seen students make huge gains during a year. But, I’ve never seen someone work persistently through two grade levels of math, let alone an English Language Learner. He’s extraordinary.” Because of Nathan’s history as a math teacher, Wilfrido will often come to him with math questions, often needing to teach Nathan Spanish in the process. Some students will volunteer to help Wilfrido or translate for him, only to find that he understands the math more completely than them. Like his peers, he enjoys playing games on the computer and joking around with his friends. But, given the choice, he logs onto Khan Academy with a mischievous smile and searches for a new math concept to master. 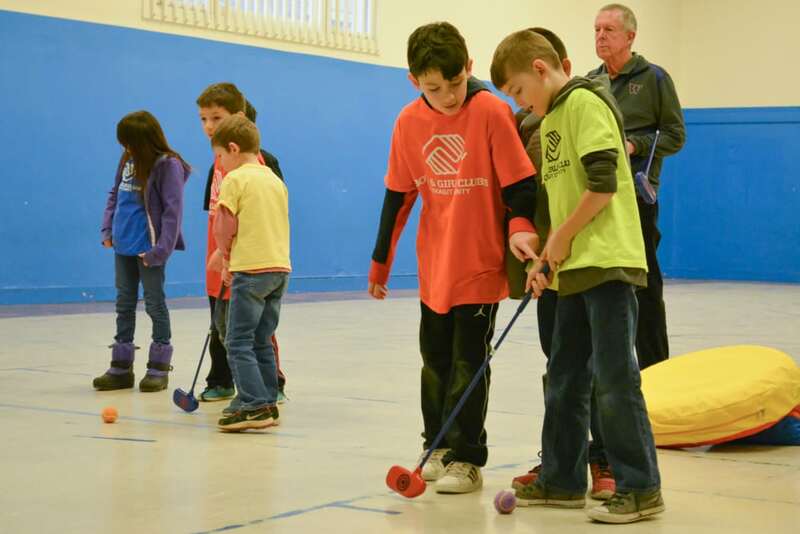 The Boys & Girls Club of Mount Vernon is usually full of color, sound, and activity everywhere you look. 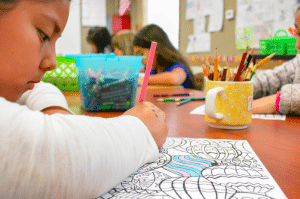 But every Thursday, there is a pocket of near silence among the organized chaos of the Club as members have the option to walk into a quiet room, stocked with coloring sheets and colored pencils. There, members can take a quick break in a relaxing, calm, quiet environment as a part of “Story Time with Callie”. Callie Shoemaker, Mount Vernon library assistant, has continued this long-running tradition at the Mount Vernon Club. “When I took over the position, this was one of the projects I decided I’d keep going” said Callie. Every week, for just over two years now, a library assistant has come to the Club to read to members as the members get to relax, color, and listen to the stories. different themes for the days, such as Limerick day or National Walnut Day. Callie takes these themes and brings in a selection of books based on them. 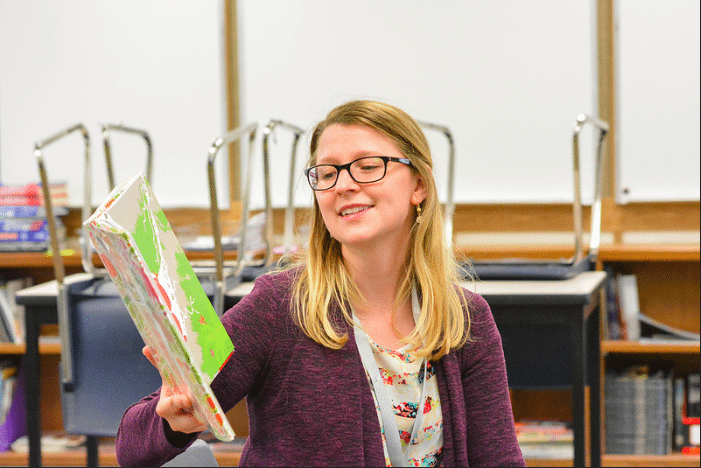 “I really like bringing in some books related to the theme, new arrivals in the library, and some personal favorites to read to the kids” said Callie. The members get to choose which books they want Callie to read. Kylie is a third grader at Jefferson Elementary. She has only been coming to the Club since the beginning of this school year, but in that time she has shown great character through her respectful demeanor and the value she places on those around. She has been a wonderful addition to the Mount Vernon Club environment. 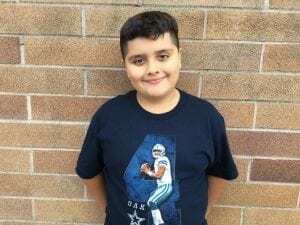 Manuel is a fourth grader at Centennial Elementary. He has been part of our club for three and a half years. In that time, Manuel has shown himself a leader by participating in a variety of activities at the club, working hard on his homework and being respectful. We have so enjoyed having him be part of our club. Samuel is a fourth grader at Little Mountain Elementary. He has been part of our club since May 2017. When Sam is at the club you can almost always find him deeply immersed in whatever book he’s currently reading or doing his homework in Power Hour. He also participates in our outdoor games regularly. Overall, he is a well rounded young man who models the importance of expanding one’s mind on a regular basis. 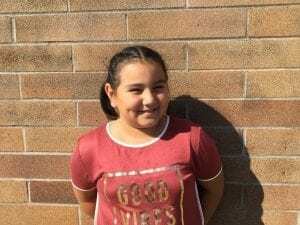 Daisy is a fourth grader at Jefferson Elementary. She first joined our club in November 2015. Daisy is an absolute pleasure to be around her sweet, caring and respectful personality makes her a leader in the making. She is a creative person and loves participating in art. We are excited to see her continue to grow as a leader and as an artist. Giovanni is a fourth grader at Jefferson Elementary. He first joined our club in November 2015. When he’s at the club you can almost always find him outside participating in Triple Play or chatting with his friends in the gamesroom. He loves participating in a variety of outdoor activities and shows good sportsmanship as well. We are excited to see him continue to grow into a young leader.